When you are a KISS fan, your friends tend to think of you first and foremost as just that, a KISS fan. They paint you with a single brush and tend to assume you cannot get beyond the affliction. You’ve been branded (thanks Gene) and can’t escape it, unless you defect. As a result, friends often reach out to us with KISS related items — anything else they may think may be cogent KISS chatter or an excuse to rib us again. Often it isn’t, but at least they care about my condition. They always laugh as they begin….. “bro, I meant tell you…. “. This item helps define the KISS fan experience nicely, at least for me. It’s post card a my comedian buddy James found in the bleachers, between rows, on the floor at the end of a Cubs game while walking out. Graciously he grabbed it thinking “Dave will like this”. He knew I would treasure it. It speaks to the staying power of the iconic image that is Ace’s make-up as well as his infamous reputation as a madman. 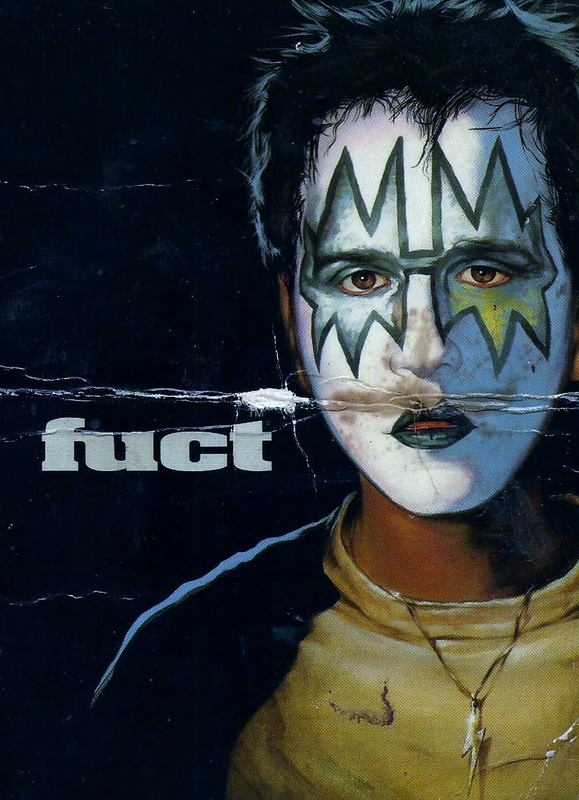 It’s promoting FUCT, a then new ultra-hipster Cali outfit still going strong today and is co-branded on the back with the now defunct record store giant TOWER, just down the street on Clarke from Wrigley. This was pre-reunion and hints at the fact that the original KISS formula would have legs with a new generation of rock & roll rebels with perhaps shorter hair.